BOOK A HUNTING ADVENTURE! // DIAL (352) 266-5847 NOW! 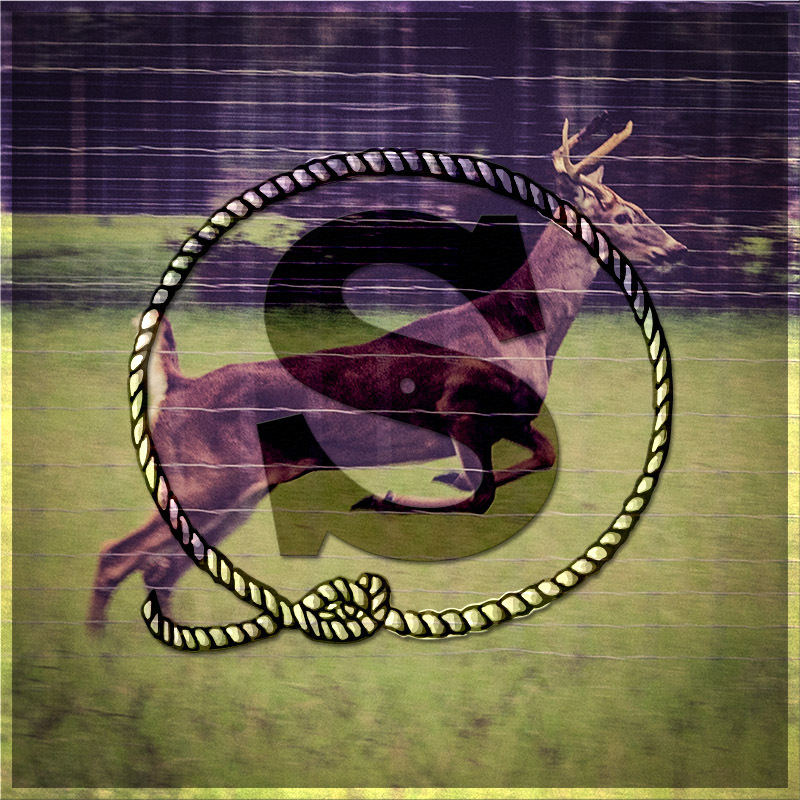 WELCOME TO THE CIRCLE S RANCH & HUNT CLUB! Circle S Ranch is devoted to their hunters. Our goal is to make sure everyone that visits our facility will leave with their dreams fulfilled! 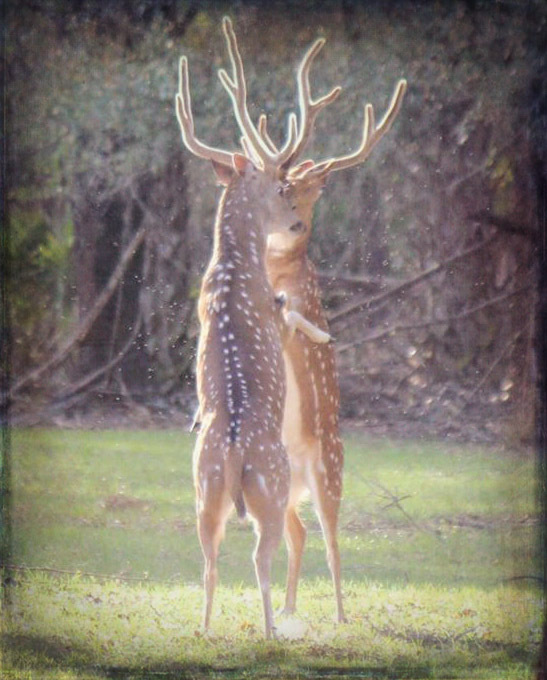 Circle S Ranch has a variety of Whitetail Bucks ranging in all sizes for your personal desires. In addition to Whitetail we also offer trophy class Black Buck Antelope and Axis deer. We also can schedule you with a hog hunt on our property. For those who want to experience it all, this is the place for you. 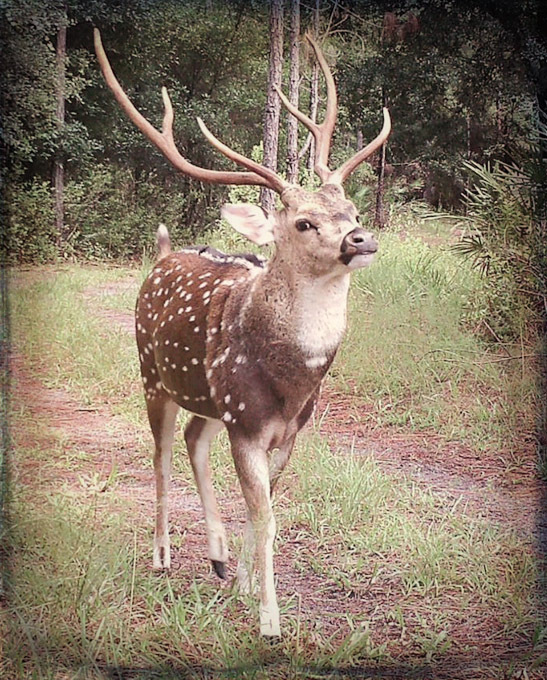 We have one of the best deer farms in Florida with a fully-renovated hunt lodge and acres of raw Florida forest. 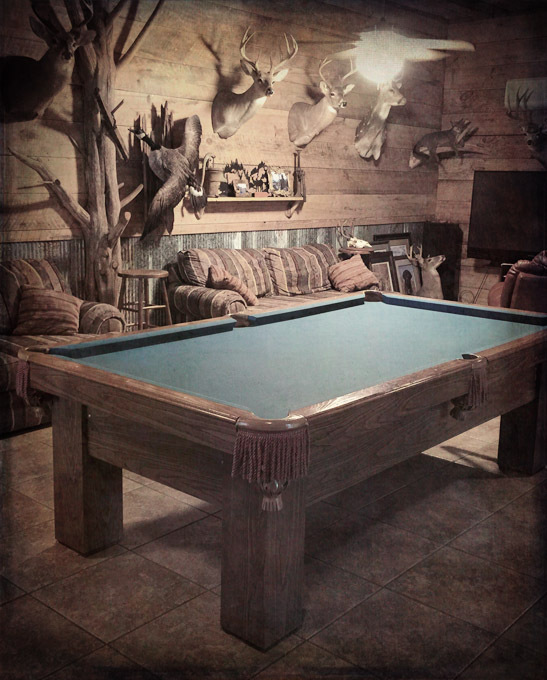 Our hunt lodge has AC, huge kitchen with attached cleaning room, pool table and several bedrooms. With 15′ fences, gates and acres of protection, we offer a great Florida Outdoor Venue for your event! Get your trophy buck! 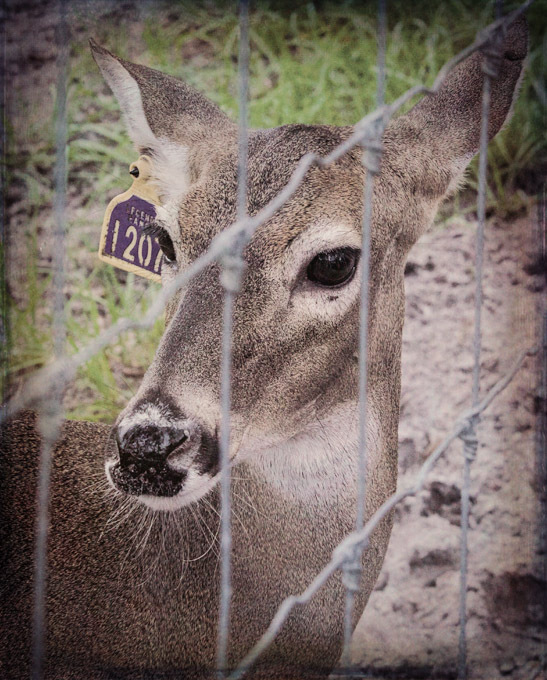 We have a variety of Whitetail Bucks ranging in all sizes for your personal desires. 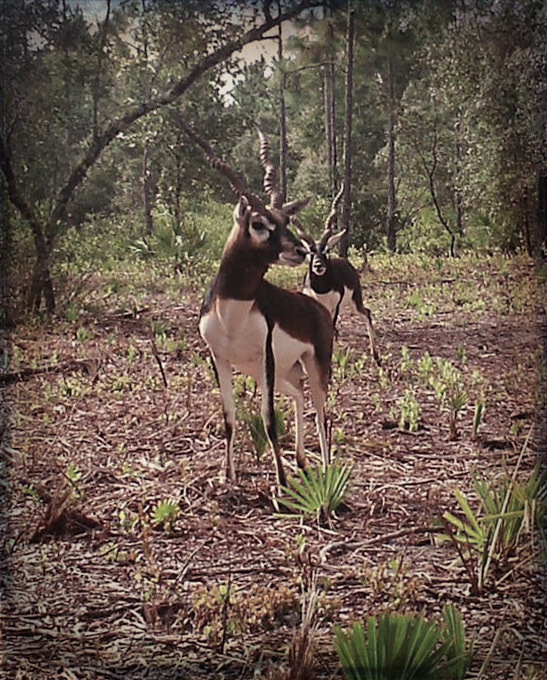 In addition to Whitetail deer, we also offer trophy-class Black Buck Antelope and Axis deer. We have hogs as well! 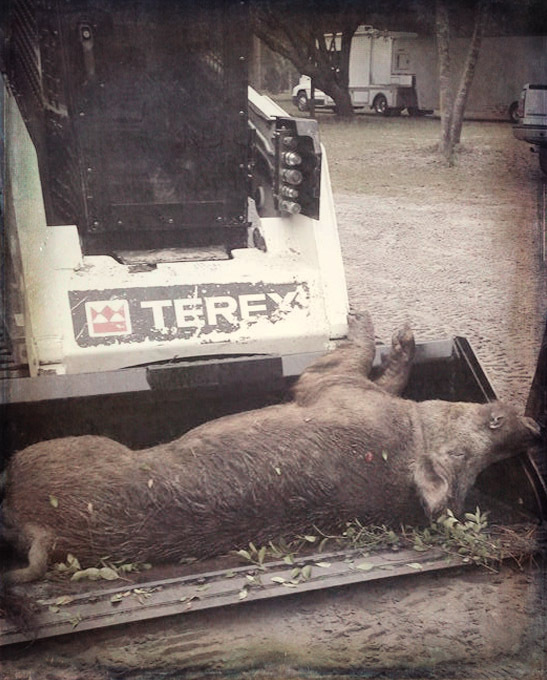 While you are here, we can also schedule you a hog hunt on our property. Get the trophy Whitetail you have always wanted! 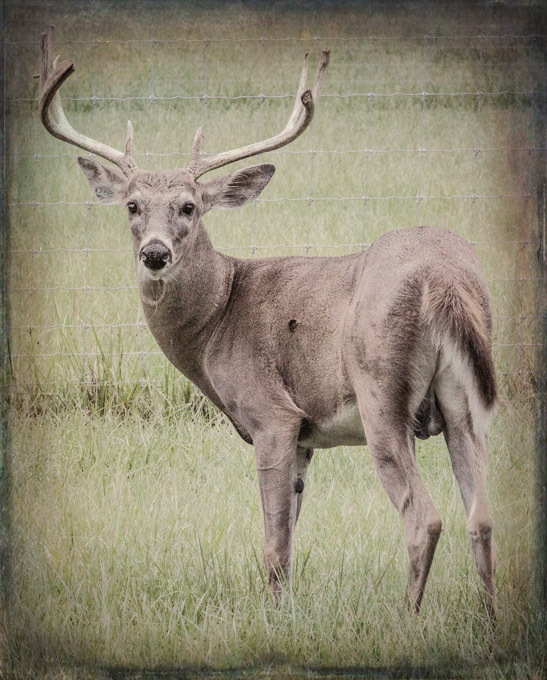 Circle S Ranch has a variety of Whitetail Bucks ranging in all sizes for your personal desires. The white-tailed deer, also known as the whitetail, is a medium-sized deer native to the United States, Canada, Mexico, Central America, and South America as far south as Peru and Bolivia. Book your trophy-class whitetail deer hunt today! We have a healthy stock of trophy-class Axis Deer! Get the trophy Axis Deer you have always wanted! The chital or cheetal, also known as spotted deer or axis deer, is a deer found in the Indian subcontinent and Sri Lanka. Males normally weigh 66 to 165 lbs, the lighter females normally weigh 55 to 99 lbs. Axis Deer meat is amazing and is even preferred over other deer meats. It is extremely lean, just like venison. Get the trophy Blackbuck you have always wanted! Blackbuck males normally weigh an average of 84 lbs while the females are lighter, normally averaging 60 lbs. They are known for their long, ringed horns. 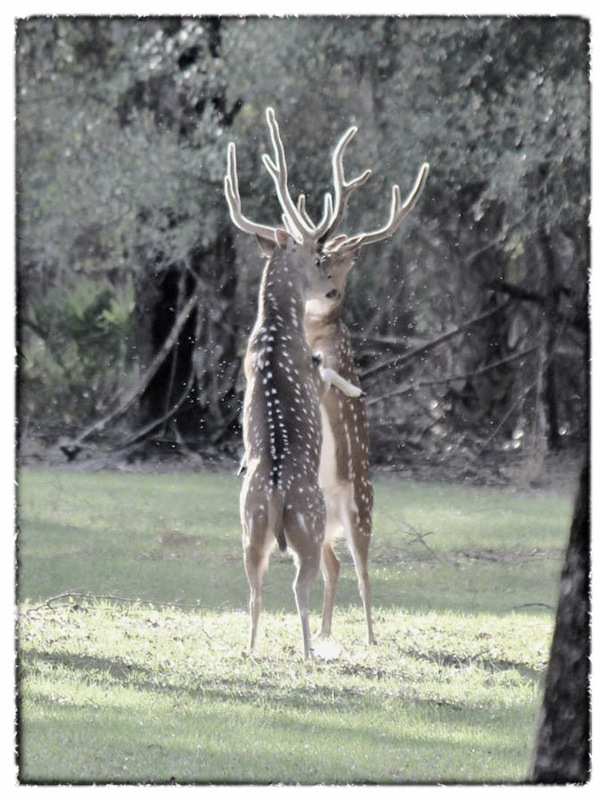 Blackbucks and does are incredibly fast which makes them a challenge, and a true test of marksmanship, to hunt. Blackbuck meat is considered one of the best of the antelope species. Book your Blackbuck Antelope hunt today! Book your Fallow Deer hunt today! Get the trophy Fallow Deer you have always wanted! The common fallow deer occurs wild in Europe where they were hunted for sport by the aristocracy, especially in the United Kingdom. Fallow deer, native to the eastern Mediterranean, are the sole-survivors of the ‘Megacerines’, a diverse deer lineage that was widespread and abundant early in the Ice Ages. (Their most famous member was the extinct Irish elk.) Fallow bucks carry flat antlers that are the largest among Old World deer and are the largest relative to their body size. The antlers (about 60 cm [2 feet] long) are broad, are flattened at the ends, and have a number of short tines; it is the only Old World deer with flat antlers. Fallow deer are the traditional venison in European recipes, having a strong taste often counterbalanced by juniper berries and wine marinades. Add a hog to your hunt for leaner and richer-tasting pork! 40+ Years of Hunting and Deer Ranching! Richie Snyder, owner and main hunting guide at Circle S Ranch, has been hunting whitetail deer for more than 40 years. As a young adult, Richie studied other species of deer, and made educational trips to other deer ranches, to learn more about deer ranching. During that time, he guided for several hunt ranches in Alabama, Texas and other states, to get the most knowledge he could about hunting deer. The love of the industry, and knowledge gained throughout the years, is what led to the development of Circle S Ranch & Hunt Club in 2004. With hard work, blood, sweat, and a few tears; we have developed a place for all to come and have the best hunting experience ever. Without a doubt the best place to hunt ever! Thank you guys for everything your awesome! Thanks guys! Missy and I have had a great time! First-class all the way! Great southern hospitality, lodging, food and great animals! We WILL be back soon! Had a great visit at Circle S Ranch today. Lots of gorgeous deer! Plenty to choose from for all you hunters out there. Rich is the whole complete package! What a deal! ... I will spread the word at our club about your hunts, most of the shooters I shoot with are hunters and are always looking for a place to hunt!